Back at Easter, the Easter Bunny brought Parker a cup o' caterpillars. 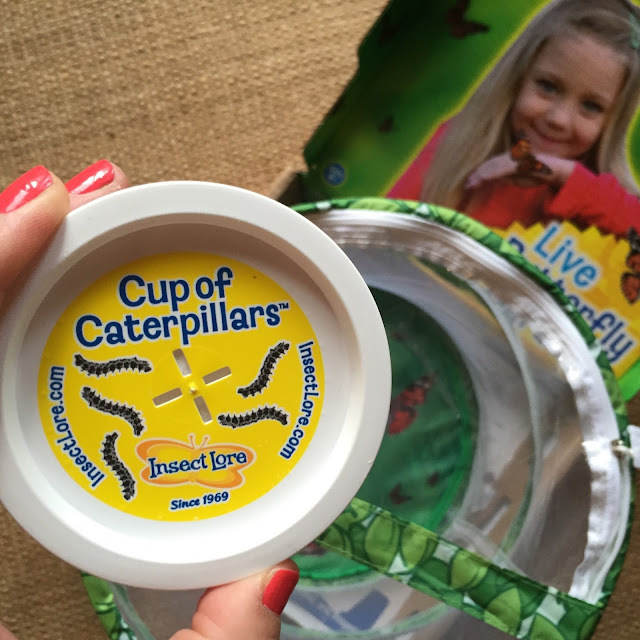 They arrived (via two-day mail) teeny and tiny, in a cup with everything they needed to survive until their next stage, when they would turn into chrysalides. 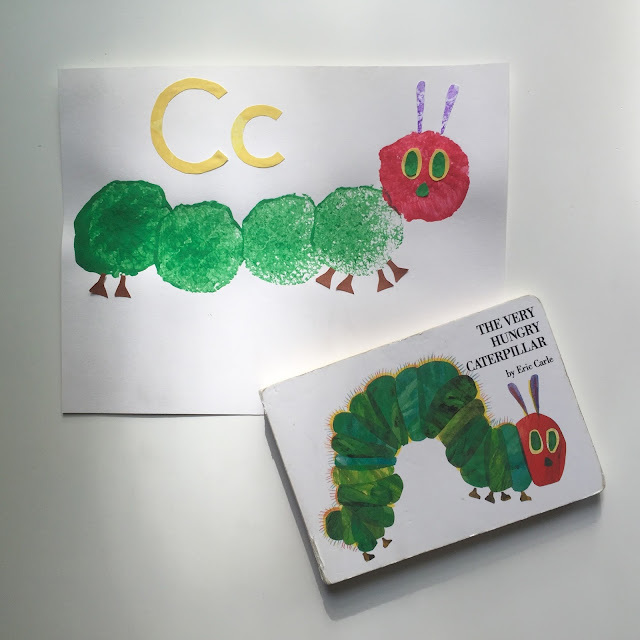 We of course had to read The Very Hungry Caterpillar by Eric Carle, which although technically fiction, is spot on with its explanation of the caterpillar/chrysalis/butterfly life cycle. Those tiny caterpillars really are very hungry, emerging from their eggs and even eating the egg shells, before spending the next part of their life just eating. 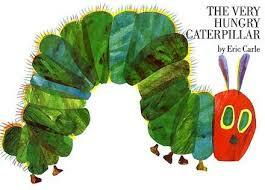 For our art project to accompany the book, we made Eric Carle-style caterpillars. 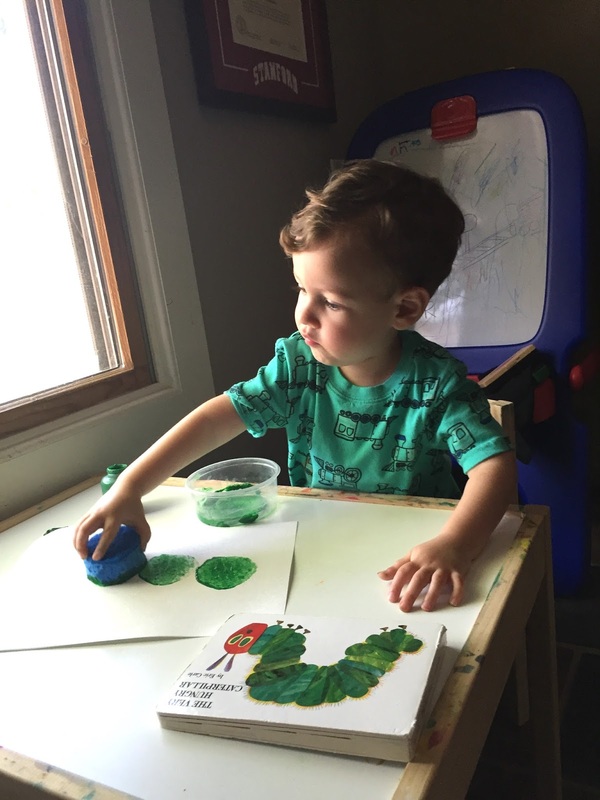 I cut an ordinary sink sponge into a circle, then provided a tub of green paint (Crayola Washables are our favorite). 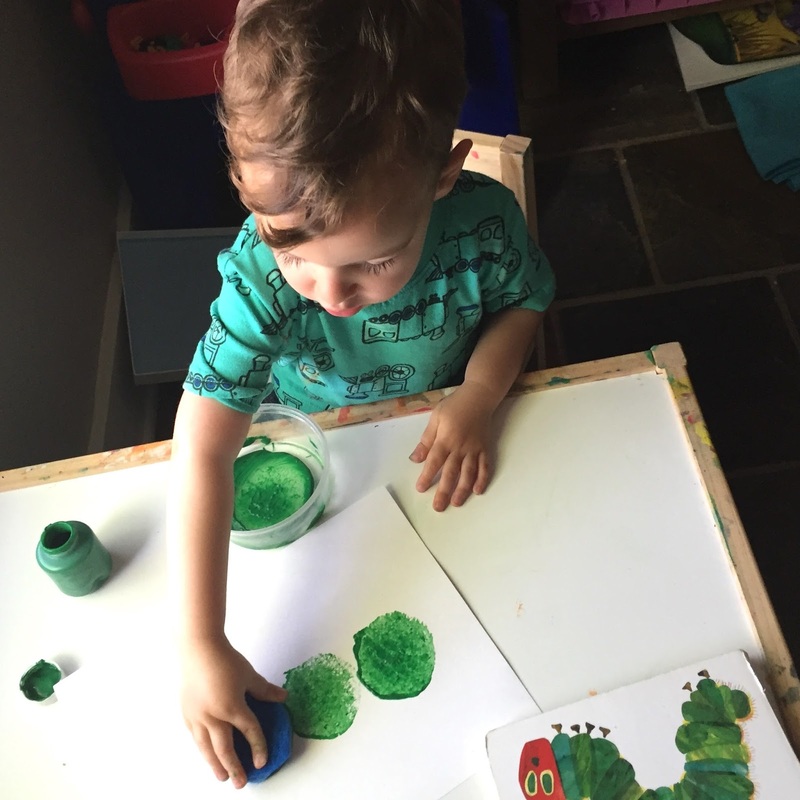 Parker used them to make a line of stamps, the caterpillar body (he had so much fun we actually made several of them!). Next, I switched out the paint and he added a red stamped head to each caterpillar. After letting them dry, I cut out eyes, noses, and antennae and we glued them on together to complete the Eric Carle look. 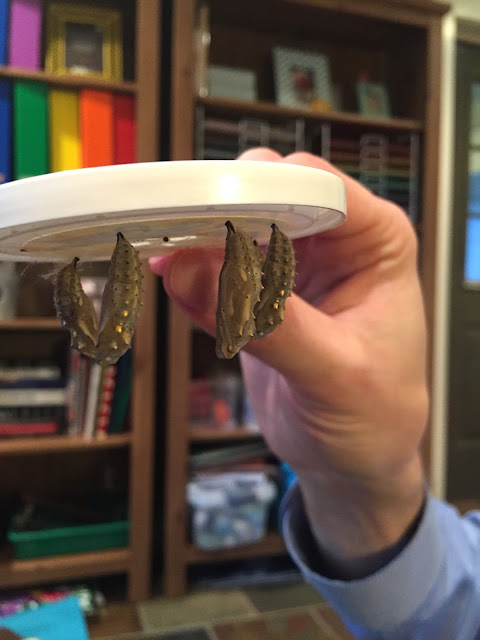 After about ten days of growing and molting, our five little caterpillars (now big, fat caterpillars just like the book promised) formed into chrysalides. Husby transported them to the mesh observation habitat that arrived with them, and there we waited for them to transform into Painted Lady Butterflies! 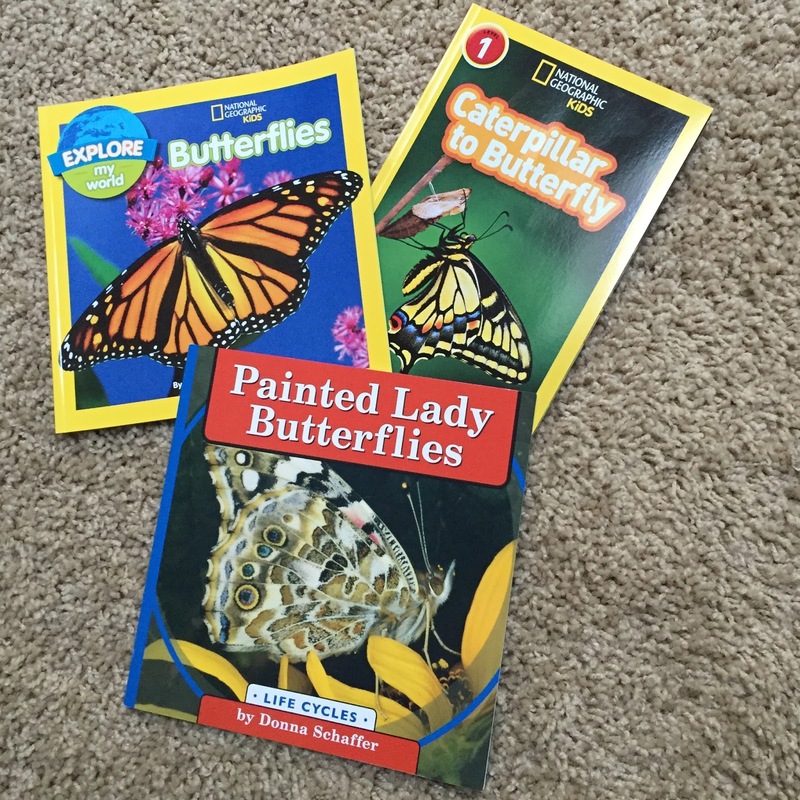 We purchased our supplies (in a handy kit that included everything) from Insect Lore . All the instructions were detailed and easy to follow, and we really enjoyed the process. Stay tuned for the last stage: butterflies!